Jumping from banking to healthcare may be a leap into the unknown for some but for Milan native Amy Garner, it was the best leap of her life. Moving quickly through the ranks, Garner went from controller to administrator to Compliance Officer. 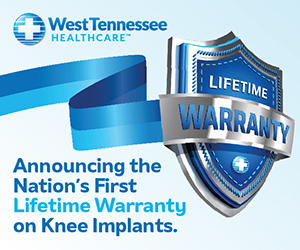 Today as VP/Chief Compliance Officer for West Tennessee Healthcare, Garner is leaping yet again into unchartered waters as she adds public relations and marketing under her purview for the integrated health system that includes hospital and physician services, as well as Durable Medical Equipment, hospice and behavioral health services. Garner holds a bachelor's as well as a master's degree in business administration from Union University, earning the latter while working in banking in Paris, Tennessee. In 1998, she began her career in healthcare as the controller for Camden General Hospital. 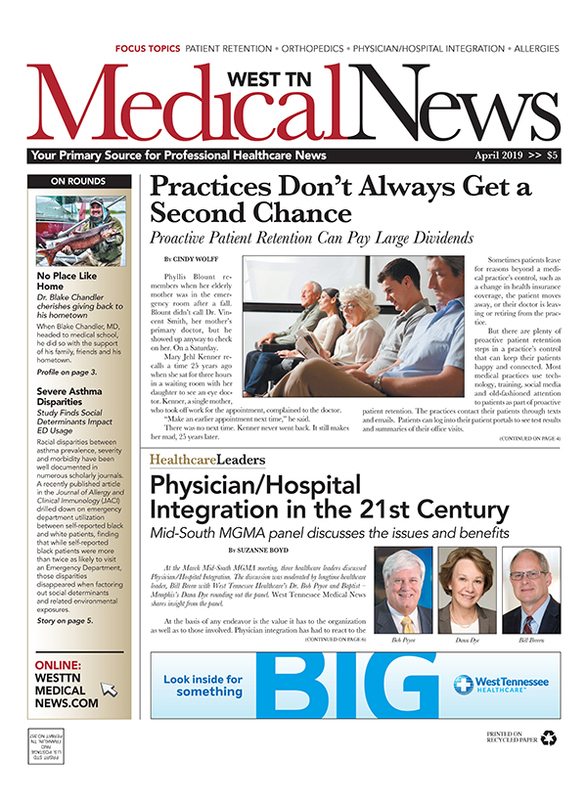 Garner quickly learned the healthcare ropes and found that she enjoyed the operational side as well as the financial. In 2002, Garner became the administrator for the hospital. "When I jumped into healthcare, I did not know a thing about it. I wouldn't be where I am today if it were not for working with great people who were instrumental in teaching me everything I know about the healthcare industry. Jeff Blankenship, currently our CFO, who at the time was controller of a small hospital, taught me everything about the revenue cycle and it all just clicked for me," said Garner. "I tried to learn as much as I could, as quickly as I could, since I knew this was what I wanted to do for the rest of my life." In 2003 after just nine months, Garner left her role as hospital administrator to become the Compliance Officer for West Tennessee Healthcare. In 2008, the title was changed to Chief Compliance Officer for the system which today serves over half a million people in 19 counties throughout West Tennessee and Southeast Missouri. Garner says the move into compliance was really a natural progression from her role as controller. "As controller I had worked with billing, admissions, medical records and the emergency department to ensure that we complied with all the rules needed in order to get paid," she said. "I was also finishing up my Executive Juris Doctor Degree with an emphasis in Health Law from Concord University School of Law which helped make compliance a perfect fit for me." Heading up the compliance program is a complex role according to Garner. "There are seven elements of our compliance program that include training and education of all our staff, a code of conduct, policies and procedures, detecting fraud and abuse. It all boils down to how we way treat patients and putting policies and procedures into place to ensure we do that well," she said. "Our program also includes auditing and monitoring to make sure we are in compliance with all the rules and regulations, as well as finding and correcting issues where we are not." 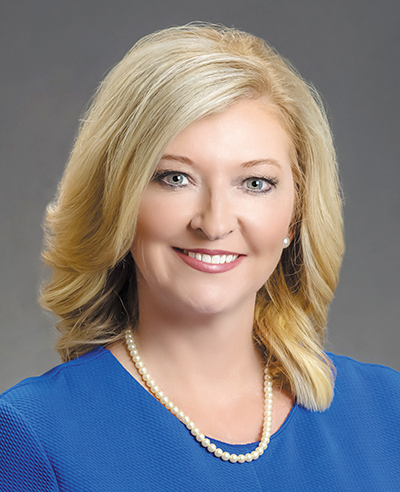 As West Tennessee Healthcare has grown, especially with the recent addition of three former Tennova facilities, Garner says the size of the organization has impacted the compliance program. "As we have grown and expanded services and our service area, there is more risk we have been exposed to and that has caused us to make changes in the compliance program." Industry changes have also had an impact on the program. "The implementation of Electronic Medical Records changed things for the better and created some risks," said Garner. "The standardization it brought has been a positive and a negative. For one, it has eliminated having to decipher handwritten and sometimes hard to read notes. But it also allows for cutting and pasting if a provider is in a hurry which can add another level of risk." Just as healthcare is a technology heavy industry, compliance has taken advantage of the advancements as well. "When I first took this job, there was no good way to track education we did for 5000 employees. It was all done manually," said Garner. "Today we have an online learning management system that tracks our educational programs and requirements for our 7000+ employees. It makes sure licensure requirements are met annually. And while we prefer to do face-to-face training, sometimes it is not the most efficient method, so our online system allows us to do online training and get changes out quickly to our staff." One not to shy from new adventures, Garner recently assumed the responsibility for Marketing and Public Relations for the system. "While it is a bit out of the ordinary for a compliance officer this was a natural fit for me, since I am known to love to talk," said Garner. "When James Ross, our CEO, approached me to take responsibility for this department, I approached it as I have any new adventure by jumping right in and found I absolutely love it." While Compliance and communications may not seem to go hand in hand, for Garner and WTH they may be the perfect match as the system looks to integrate multiple facilities recently acquired from Tennova. "Compliance can be very serious and legalistic making us seem as though we are the police. Marketing and PR are warm and fuzzy which has put me in a different light and positively impacts my relationships with people. But one of the biggest keys to making this work is the great staff I work with both in compliance and now communications," said Garner. "Working for a great company that employs great people that do a great job taking care of patients are stories we love telling. Being the largest healthcare system in area it is an important story to tell so people know why they can trust us for their care." As WTH rolls in three for-profit hospitals to its non-profit fold, communication is key both externally and internally. "Besides training employees on policies and procedures, we have to indoctrinate them to our culture, educate them on our mission and that how we do things may be different from what they are used to," said Garner. "Acclimating them to our culture may be the most important thing we do. We want everyone who has joined the organization to embrace it. Our culture is based on love and respect for people be they our patients, guests, families or staff. I know it will be a challenge to change a mind set for some. JR will be big part of this process for us and one that will take some time." Garner has several other feathers in her cap. She is a licensed Nursing Home Administrator and holds a certification in Healthcare Compliance through the Health Care Compliance Association. She is also a member of the Health Ethics Trust and is recognized as a Fellow of the Trust and a Certified Compliance Executive. 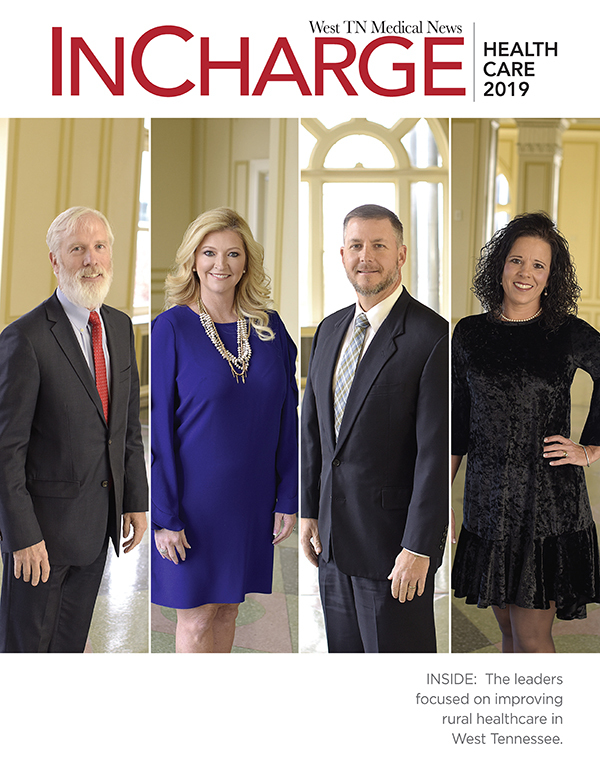 Active in the Jackson community and on the lecture circuit, Garner is a graduate of the Jackson Chamber's Leadership program as well as WestStar and has served on the boards of both programs.